When my daughter Erin lived in Seattle, she sent me a can of coffee from one of those specialty shops you find in big cities—Trader Jim’s or Fancy Joe’s or something like that. Flavored coffee, if you can imagine. An abomination. Or so I thought, until I tried it—because I had to try it, if only to tell her how dreadful it was and how could people who called themselves food lovers do such terrible things to perfectly lovely coffee. Mix ingredients in a small bowl and store in a jar or tin with a tight lid. For a pot of drip coffee, add ½ to 1 full teaspoon of the spice blend to the ground coffee. For a single cup of espresso, drip coffee, or French press coffee, use 1/4 teaspoon to start, until you know how much tastes just right to you. Turbinado sugar is a good sweetener with this blend; add it to your cup or the blend. Feel free to experiment with the amounts and other spices, such as a vanilla bean. Trust your own taste buds, and have fun! 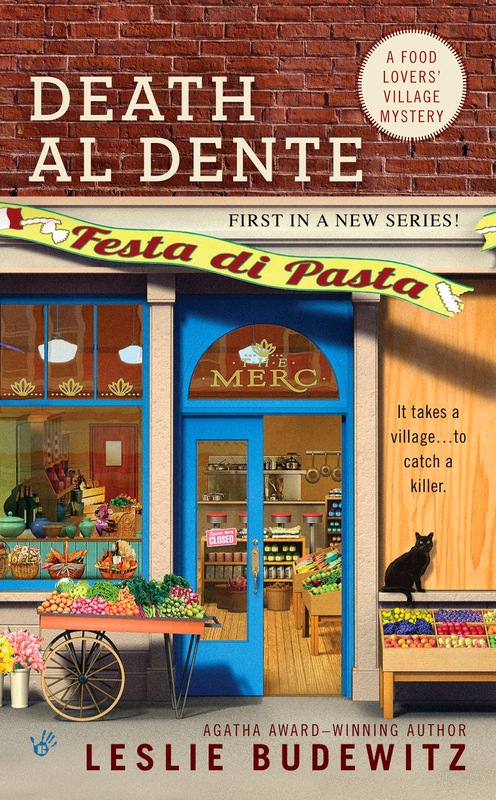 Thanks to all who helped make Death al Dente, published this past August, a national bestseller! The Food Lovers' Village Mysteries are set in a small, lakeside resort community in Northwest Montana, on the road to Glacier Park, near the village where author Leslie Budewitz lives. Leslie is also a lawyer and won the 2011 Agatha Award for Best Nonfiction for Books, Crooks & Counselors: How to Write Accurately About Criminal Law & Courtroom Procedure (Quill Driver Books, 2011). Visit her at www.LawandFiction.com and www.LawandFiction.com/blog, and now, at www.LeslieBudewitz.com. As soon as I heard that there was another cozy series coming out that was food or beverage related I was thrilled. I have your book on my wish list to order; have to pace myself as I go a bit overboard with Amazon orders :). I gave my family my wish list of books that I would like for Christmas and your book is on that list if I don't get it sooner. Thank you so much. Oh, regarding coffee. I love Cardamom and added that to regular grind coffee and it was fantastic; tasted like it would in Sweden I was told by visiting friend who had been there and had it. Thank you for the recipe too. Much success to you, Leslie. Many thanks, Cynthia! Be sure to check back in December -- the Characters will be giving away a book a day to celebrate the holidays! Cardamom is considered an Indian spice, but often used in Scandinavian baking. Yummy! I am normally a purist when it comes to coffee, but this recipe looks scrumptious. Loved Death al Dente, Leslie. Bring on book two! Linda, do try it! If you don't like it in your coffee, you can always sprinkle it on oatmeal or yogurt! Your coffee recipe sounds delicious! =) This book is on my to be read list, it sounds great! Grazie, Melissa, molte grazie. Try the spice mix and tell me how your tastebuds respond! I don't drink coffee at all, but I would love to read your books. Adding to my wishlist. Aurian, my daughter Erin is working on a new line of herbal teas and other delicious beverages. Look for them at the Merc soon! I will certainly try this! Maybe a little less or omit the Cinnamon? I just went this weekend, to a little "middle-eastern" grocery store I found and bought whole Cardamon. It will be interesting to experiment with food. Last time I tried their Cardamon tea and THAT was good! Play with the spice mix to suit your own tastes! Sometimes I like a little more bite, sometimes a little more sweetness. Life is like that, isn't it? I don't like coffee but I bet that spice blend with a litte canned or roasted pumpkin and some cream cheese would make a great spread for bagels or a dip for nilla wafers. Yum.